While a little bare at launch, Nintendo Switch’s library of eShop titles has exploded in recent weeks, now making it a virtual hotspot for new and exclusive releases. 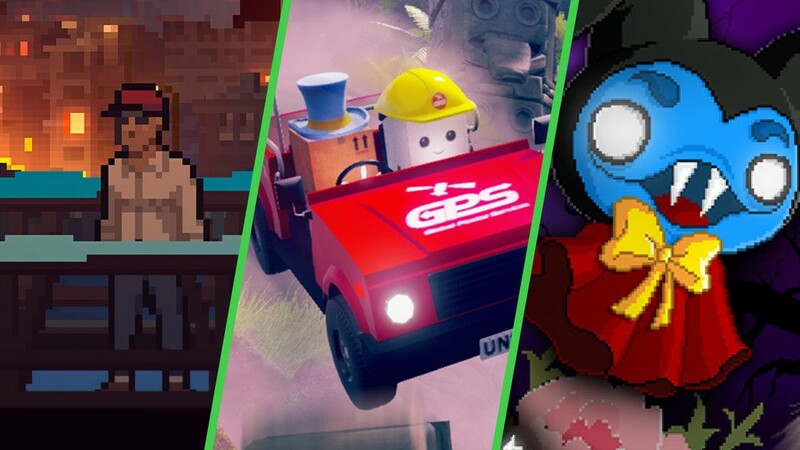 Joining the party with a few titles of its own is Merge Games, a game publisher that has been working with a number of different indie developers to bring some of the best and brightest new titles to the Switch eShop. We recently caught up with Merge Games to give some of its upcoming releases a go. Imagine, if you will, a world in which the Global Postal Service has failed to such an extent that drastic measures have to be taken. You may wonder how we could ask you to imagine such a dire situation when it is so far removed from reality, but know that developer Prospect Games has come up with the perfect solution – sentient, self-delivering packages. 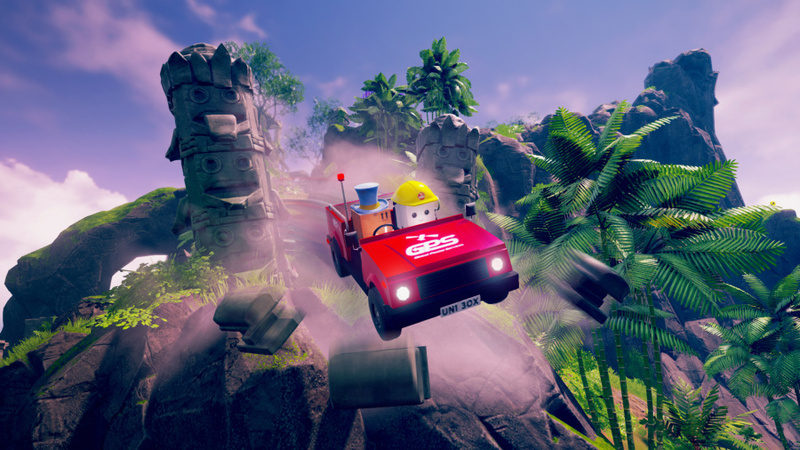 In an attempt to put this theory to the test, Prospect Games created Unbox: Newbie’s Adventure, a mail delivery simulator disguised as a colourful, humorous, 3D platforming adventure. 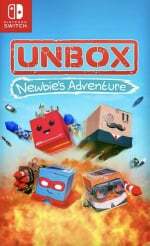 Originally released on Steam in September of 2016 and bouncing its way to home consoles throughout 2017, Unbox fits comfortably as part of the resurgence of the 3D platformer genre that was so popular in the polygonal days of the '90s. Drawing obvious inspiration from titles such as Banjo-Kazooie and Super Mario 64, this title encourages exploration and collection while simultaneously guiding the player through its open world with objectives and missions. Well, we've actually been able to publish our Unbox: Newbie's Adventure review ahead of its release, so click the link for our full lowdown on its positives and negatives. Just in time for Halloween and the spooky season, developer Baroque Decay has a treat for action and horror game fans who have a preference for pixel art. 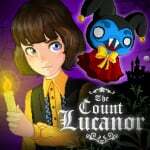 Borrowing gameplay elements from early Legend of Zelda titles and combining them with stealth horror, Switch owners can look forward to the upcoming release of The Count Lucanor. While at first it may look like a brightly coloured adventure title, what lies beneath the surface is a dark and at times unsettling story of survival. Taking on the role of a young boy named Hans, players are tasked with exploring the titular Count‘s labyrinthine castle, picking up clues that will help in revealing the Count’s true name. In order to move forward in his quest, Hans must solve a series of puzzles and find hidden keys strewn about the castle. The exploration felt a bit like going through the world map in a Metroidvania game, where each time we opened a new door or unblocked a passageway it seemed to connect to another untouched part of the castle. This aspect of the exploration made us genuinely want to keep digging deeper, with the knowledge that if we found one more key then we might be able to get to that treasure chest that’s just out of reach. From what we saw there doesn’t seem to be any combat involved, requiring players to solve puzzles and escape enemies using stealth and by keeping their wits about them. The most important tool at our disposal was a pocket full of candles that could be held or placed strategically throughout the castle in an effort to illuminate potential threats. The candles were also useful in marking the paths that we had already explored to circumvent any potential backtracking. While we never felt like Hans was growing stronger as you would expect of the hero in a more traditional exploration based game, we did feel as though we were becoming more resourceful with each new inventory item that we picked up. Our time with The Count Lucanor was short, but it was just enough to get a feel for what the full package had in store. It’s an adventure game that looks inviting from the outside, but it definitely has a dark side to it waiting to be explored. Assuming this one hits the projected release date, it’s definitely a game we’ll be looking forward to playing in time for Halloween. Starting at the top with Unbox and working our way down, we can safely say that we’ve landed on the darkest of Merge’s three upcoming Switch titles with The Long Reach. 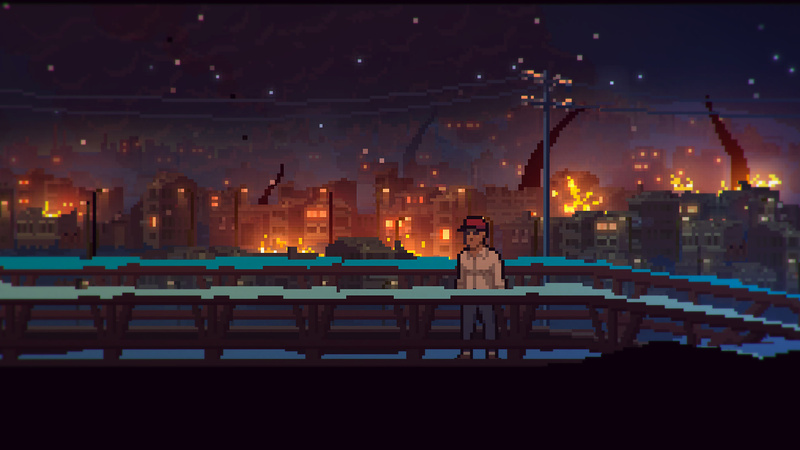 Developed by the small team at Painted Black Games, The Long Reach is a side-scrolling adventure game that explores the human psyche through a sci-fi and horror narrative. It’s also pretty funny at times, making good use of well-written dialogue and gallows humour necessary to get you through what would otherwise be an entirely bleak drama. The gameplay is simple, consisting mostly of running back and forth in 2-dimensional settings and interacting with people and objects around you to solve puzzles. In terms of gameplay, The Long Reach isn’t a huge departure from previous titles in the adventure genre, but it recognizes its limitations and makes up for them with a strong narrative. Even though it utilizes a pixelated art style, it is very effective in conveying different environments that feel unique, and the sound design is put to good use in creating an eerie atmosphere. We definitely recommend playing with headphones to enhance the feeling that there’s someone or something lurking around the corner or breathing down your neck. We were immediately sucked into the story and kept playing with the excitement of always wanting to know what was in the next room or who was hiding around the corner. Without realizing it we ended up demoing The Long Reach for nearly an hour before we were finally told that we were playing the completed game and not just a demo build. It was explained that this is the type of game that is meant to be played in one sitting, so the whole experience only lasts a few hours. It was at this point that we put our controller down at the risk of spending another few hours playing through the entire story. Given the option though, we wish we could have stayed. So there you go, three more intriguing Switch eShop titles. Let us know which of these will be going on your wishlist. Good luck to them but I don't find any of their games interesting. Even if The Count Lucanor has the gold pooping horse. Actually, I take that back, The Long Reach looks kind of interesting, even if I'm not mad on its visual presentation. I used to have interest in Unbox, but changed my mind recently as it didn't look good plus the recent Review confirming my change. 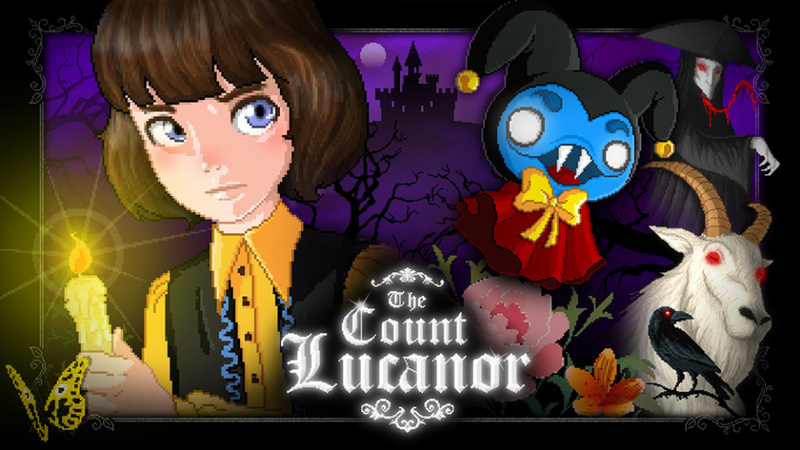 I haven't seen anything about Count Lucanor before, but it sounds rather interesting. I might pick it up. All 3 interested me but Unbox is too pricey. I'll dig in when is at about 15-20$ range. Too bad Unbox is so unpolished and glitchy. I'm such a big fan of 3D platformers, and they are so few and far between these days, especially good ones. At least Odyssey is just a couple weeks away. @SLIGEACH_EIRE Wasn't the gold-pooping horse (unicorn?) in Kingdom, though? These all look interesting for me. Hard to fit into my limited gaming business with so much stuff coming out, though. @ricklongo Kingdom: New Lands has a gold pooping unicorn, while The Count Lucanor has a gold pooping horse. @SLIGEACH_EIRE Whoa, seems to be gold pooping season around these parts. It's obviously supposed to be based on german fairy tales (likely mostly from Grimm's collection), so the gold pooping animal is likely a donkey. We actually have a statue of the gold pooping donkey from the tale on the marketplace in the village where i was born. The red eyed goat is from the same tale (Tischlein deck dich, Goldesel und Knüppel aus dem Sack) while the "guessing the real name" aspect of the story is likely based on the tale of Rumpelstilzchen. Wonder why they bring the weakest of the three to retail and not the other two? The Count Lucanor is fantastic and The Long Reach looks very nice. @EmirParkreiner Yes, you're right, it looks like a donkey, not a horse. Silly me. Thanks for the explanation.